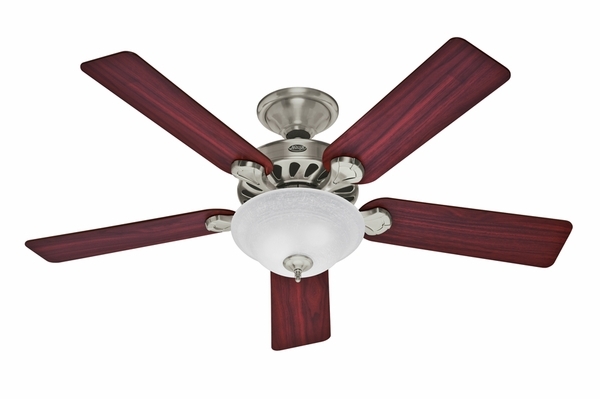 Hunter 53085 Five Minute Fan with Blades and Light Kit - 52"
Home > Home Improvement > Fans > All Ceiling Fans > Hunter 53085 Five Minute Fan with Blades and Light Kit - 52"
Both gorgeous and charming, the Five Minute Fan with Blades and Light Kit from Hunter will look amazing in any room, from offices to bedrooms to living spaces. 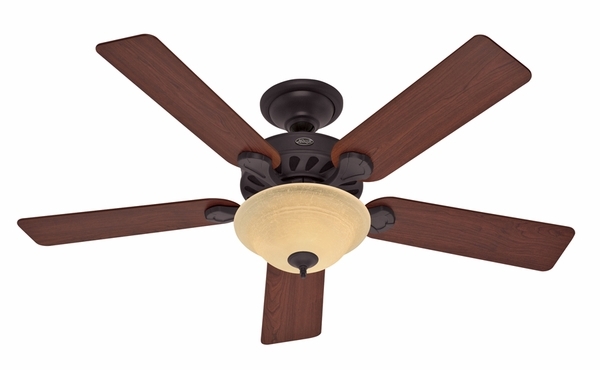 The Five Minute 52 inch Fan is available in new bronze or brushed nickel finishes, and comes 90 percent pre-assembled so installing this fan will be a breeze! The fan blades have been coated with Dust Armor to prevent dust build up, and slide and lock right into place for quick and effortless assembly. Simply attach the fan to the bracket and connect the wires, attach the blades, and attach the bowl. It's really that easy.